Slim, classy case that serves its function. Fits most popular smart phones. Gentle grey RR RIONI monogram printed on solid black designer canvas body. 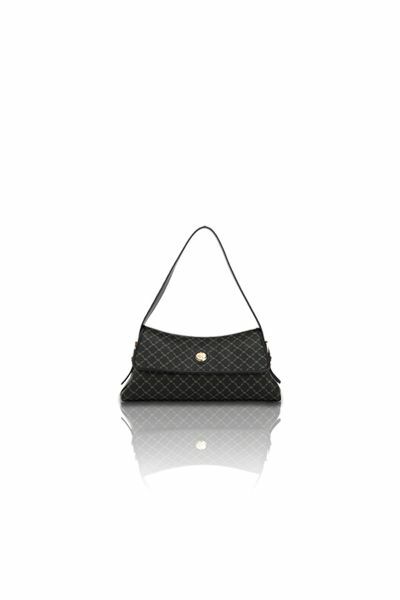 RIONI R insignia embossed on patent black leather material. 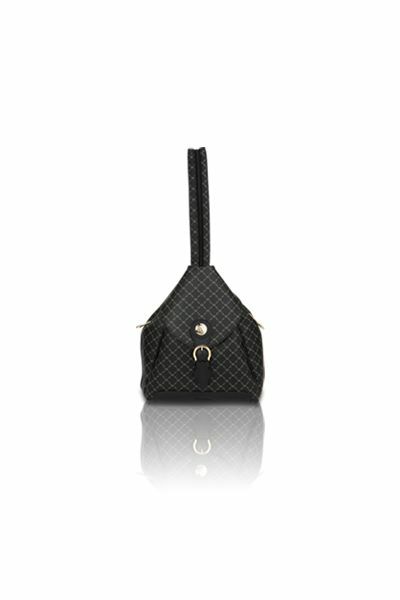 Features a back zipper pocket that can hold small accessories, headset, coins or credit cards. Black fabric RIONI monogram print lining. Zipper entrance opening. Interior is well-padded to protect your phone from scratches and accidents. Wristlet strap included. L3.6 x W0.6 x H6.9"
Product: Smart Phone Wristlet Holder (Patent) was added to cart.